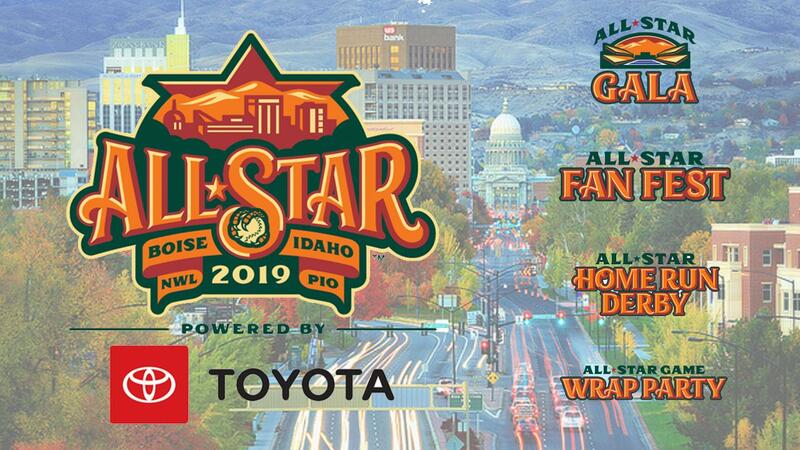 BOISE, ID: The Boise Hawks, Northwest League affiliate of the Colorado Rockies, are proud to announce that Your Local Toyota Dealers have been named the Title Partner for the 2019 Northwest League / Pioneer League All-Star Game, to be held in Boise on August 6, 2019. Along with the Title Partnership announcement, the Hawks have released the first wave of festivities surrounding the All-Star Week. Festivities surrounding the All-Star Week include the All-Star Game Gala, a closed to the public event at Albertsons Stadium's Stuckle Sky Center; the All-Star Block Party (presented by Project Filter), a free, open-to-the-public concert at the Grove Plaza; the All-Star FanFest (presented by Idaho Transportation Department), a meet and greet with events at Memorial Stadium; the All-Star Home Run Derby (presented by Albertsons), pitting Northwest League and Pioneer League All-Stars in a home run contest; and the All-Star Wrap Party, a closed-to-the-public event at the Knitting Factory. Along with Your Local Toyota Dealers, Project Filter, Idaho Transportation Department and Albertsons, the Hawks will be joined by Craig Stein Beverage, PacificSource and Idaho Department of Health - Diabetes Prevention as Supporting Partners of All-Star Week. Tickets for the Northwest League / Pioneer League All-Star Game can currently be purchased with a full or half season seat package, or by purchasing a Boise Hawks FlexBook (15 ticket vouchers for $160). A public on-sale date for the Northwest League / Pioneer League All-Star Game will be announced at a future date. Complete up-to-date information on the Northwest League / Pioneer League All-Star Game can be found at www.milb.com/boise/tickets/allstargame.